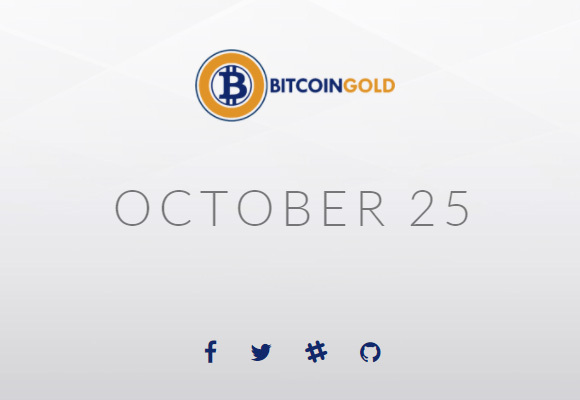 Earlier this month we have told you about the upcoming Bitcoin fork called Bitcoin Gold (BTG), but now just a couple of days before it actually happening there are much more details than at the initial announcement. There are still quite a few things that are not clear yet, but the user interest in this fork is growing and that is no wonder when users holding BTC will be getting the same amount of BTG on October 25 when the fork is expected to happen. 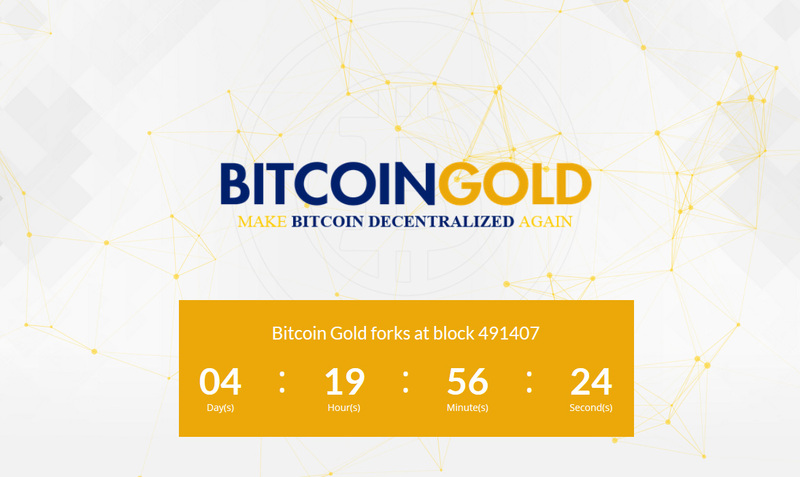 Bitcoin Gold (BTG) forks at block 491407 where a snapshot of the Bitcoin blockchain will be made in order to credit Bitcoin holders with their Bitcoin Gold coins (the same amount of BTC they hold will be available in BTG). Bitcoin Gold promises replay protection, meaning that after the fork occurs the two networks will continue to function independently form each other and transactions of coins in one of them will not affect the other one. One of the most interesting things about the new Bitcoin Gold (BTG) is that after forking from Bitcoin it will adopt a different mining algorithm and the chosen one is Equihash (the one introduced by ZCash), so the new coin will be mineable with video cards and not ASICs. This is what is essentially getting the attention of the many GPU miner out there that do not have any or just a little ASIC mining power. This is essentially eliminating the large ASIC mining farms from able to mine the coin as there are currently no known ASIC miners available for the Equihash algorithm, though it still cannot do anything about any large GPU mining farms and such also exist similar to the big ASIC mining farms. Still smaller GPU miners will be able to get into the mining of Bitcoin Gold (BTG) even with one video card, something they are not able to do with Bitcoin anymore. There are still thing that are not clear about the fork such as what exchanges will support it and will credit the users holding Bitcoin with BTG after the fork. Some exchanges like HitBTC and Yobit, along with a few mining pools, have expressed their will to support Bitcoin Gold. The biggest and most used Bitcoin exchanges however are still to come out with official statements regarding the fork, so the best thing is to hold your Bitcoins in a local wallet where you have full control over the private key in order to be able to claim BTG coins after the fork. The exchanges are probably waiting to decide based on user interest as well as to see if the fork will be successful and problem free and come out with statements after that or their users may force them to. The things that are not getting too much attention are mostly centered around the final specifications of the coin that are not very clear. For example the initial announcement mentioned tat the Bitcoin Gold (BTG) fork will have 16000 blocks premined with 12.5 BTG reward for each (200000 BTC coins) that will be sold to ICO investors, though the official project website does not talk about that at all. The fact that the BTG is capped at 21 Million coins just like Bitcoin and adopts 10 minute lock time, just like the original BTC, 12.5 BTG current coin reward?, halving every 4 years maybe? and so on… Since there have been already 16.6 Million BTC mined with a total of 21 that leaves less than 4.5 Million coins left to be mined over a very long period of time. All of these kinda leave a big question mark about the mining part of BTG and as we’ve explained there are still important things that are not very clear just a few days before the fork happening. There is apparently another upcoming Bitcoin fork that is named Bitcoin Gold (BTG). This community-activated hard fork of BTC will result in the new asset becoming available for the owners of Bitcoin that hold their Bitcoins on October 25th where the snapshot of the Bitcoin will be taken as a base. So you will get the same amount of Bitcoin Gold (BTG) as you have had in BTC on the day of the Bitcoin blockchain snapshot being taken. The more interesting aspect of this new fork however is that it is not another Bitcoin Cash type of fork that essentially uses the same kind of PoW as Bitcoin and can be mined with ASICs only, instead the BTG fork will use Equihash as a mining algorithm thus making it a GPU mineable coin. Do note that the team has already warned that Bitcoin Gold (BTG) aka Bgold, the upcoming community-activated hard fork of Bitcoin, is not associated with (XBG) BTCGOLD as apparently some people might mistake the two. It is definitely something interesting to keep an eye on, though for the moment there are not that much details available.